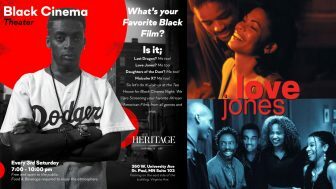 Heritage Tea House is celebrating Black cinema with a screening of the classic Love Jones — the perfect choice for Valentine’s Day weekend. Everyone is welcomed, and this event is free. All that is required is a purchase from Heritage Tea House Boutique to enjoy the night!